Swansea City get back to league action this Saturday with the international break and their FA Cup exploits behind them as they face Nottingham Forest at a sold out City Ground. Swansea lost 3-2 last time out at home to Manchester City in the FA Cup. The Swans will still feel hard done by a couple of weeks after that game as a couple of poor referee decisions cost them a victory over one of the best teams in Europe and a place in the Semi Finals at Wembley next week. The positive for Swansea is how well they did play in their FA Cup game and the quality of Swansea’s football in the league games against Norwich City and West Brom prior to this was impressive even if the results didn’t show this. Nottingham Forest are currently 11th in the table and were held away to a 1-1 draw at bottom of the table Ipswich Town in their last Championship game. Martin O’Neill and Roy Keane came into the Club in the middle of January and have guided the club into the top half and just three points outside the play off places. They will no doubt fancy their chances of boosting their play-off hopes in front of over 28,000 home fans at the City Ground, against a Swansea side who have lost their last 5 Championship away games. Take a look at all of the historical results between the two clubs since their first meeting way back in 1926, when the Swans ran out 2-0 winners in a Division 2 clash between the sides, on our Nottingham Forest v Swansea City Head to Head Statistics page. Lancashire born official Jeremy Simpson will be the referee for the Forest v Swans Championship clash this Saturday afternoon. This will be the 2nd time that Simpson has been the referee for a Swansea City game this season, having never officiated a Swans game prior to the 2018/19 campaign. 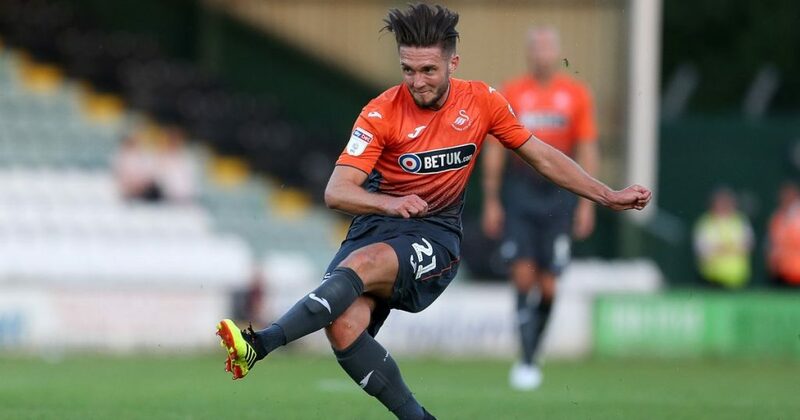 His first Swans game was the 2-1 opening day win at Sheffield United back in August 2018. Prior to to this game, Simpson had only officiated one other Forest game this season, a 1-0 defeat at home to Bristol City back in January. During his 24 Championship games to date this season, he has averaged almost 4 yellow cards per game and has given 5 red cards. He had awarded 4 penalties, 3 of which have been to the away side. Swansea have been consistently top of the fair play league in the Championship and so far this season have picked up just 34 bookings in 36 league games. Nottingham Forest are currently bottom of the fair play table with 86 bookings, so there is a real contrast on the style of football with both teams. In addition to this, since Martin O’Neill took over at Forest in the middle of January, Forest have picked up a total of twenty two bookings and one red card. In stark contrast, Swansea have picked up only eight yellow cards in the same period of time – but playing one game more. Finally, in all but one game since O’Neill came in Forest, they have picked up at least two bookings in every match. With all of these disciplinary stats, it is a some surprise that Paddy Power are offering odds of Evens (2.0) for Nottingham Forest to pick up the first booking of the game. So this is my first tip of the weekend! 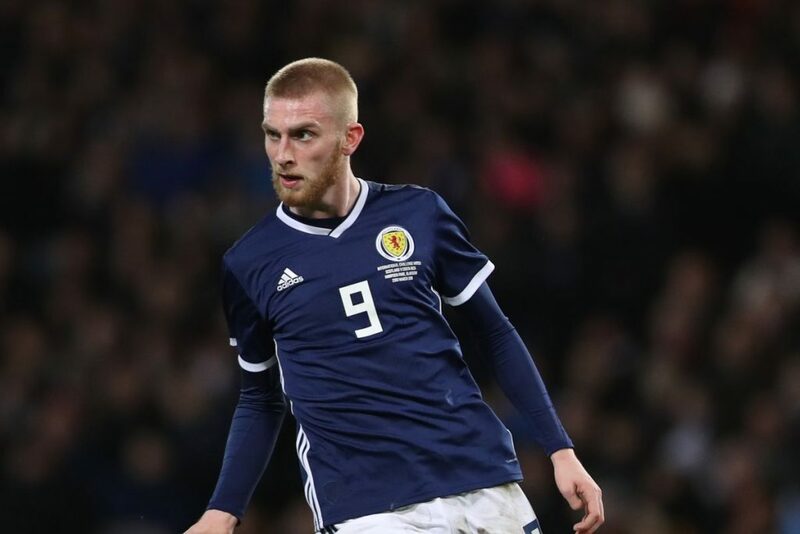 Having played for Scotland during the International break, Oli McBurnie is likely to return to the Swansea side after suffering from illness in the last few games. I’m backing the 22 year old Scot to provide that finishing touch the Swans have clearly missed from their recent league outings. Oli has 18 goals this season and is far and away Swansea’s biggest goalscoring threat. Odds of 11/2 (6.50) are available for Oli to score the first goal but I would prefer to back him to score anytime at odds of 39/20 (2.95) with UniBet and 888Sport. Fans wanting to back a longer odds goalscorer might look to Matt Grimes to score any time at odds of 13/1 (14.00) with BetFair and Paddy Power. Matt took a fantastic penalty against Manchester City and I would expect him to keep the spot kick duties until the end of the season, with Oli McBurnie and Bersant Celina both failing from the spot this season. In addition, I have spoken about Forest’s poor disciplinary record this season and I’d imagine that this is likely to lead to some free kick situations around the box, without taking into account the potential for goals from open play. This is no doubt something the Swans will look to exploit, meaning that Grimes and Celina could benefit. ACCA backers have six selections this week and I would advise to bet 6 x five folds and 1 x six folds in their accumulators (a total of seven bets). This week’s selections are Leicester, West Ham, Aston Villa, Luton, Doncaster and Dundee United.